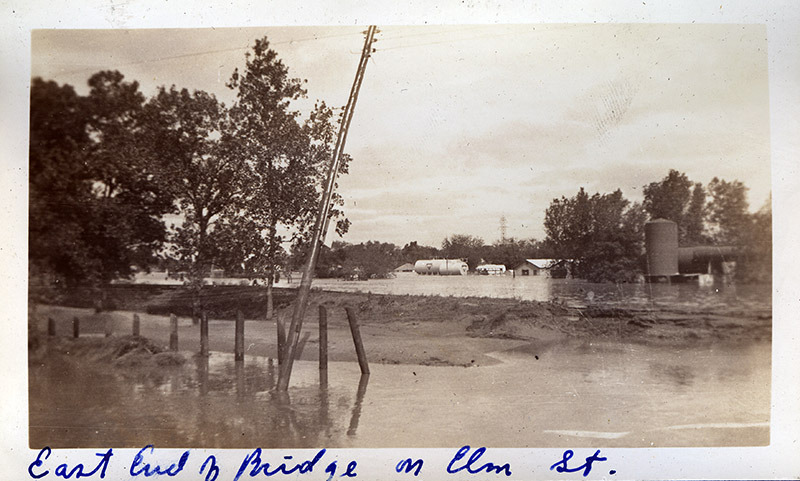 Prior to local and federal efforts in the mid-twentieth century to control rivers through the construction of dams, the Brazos River routinely overflowed its banks. 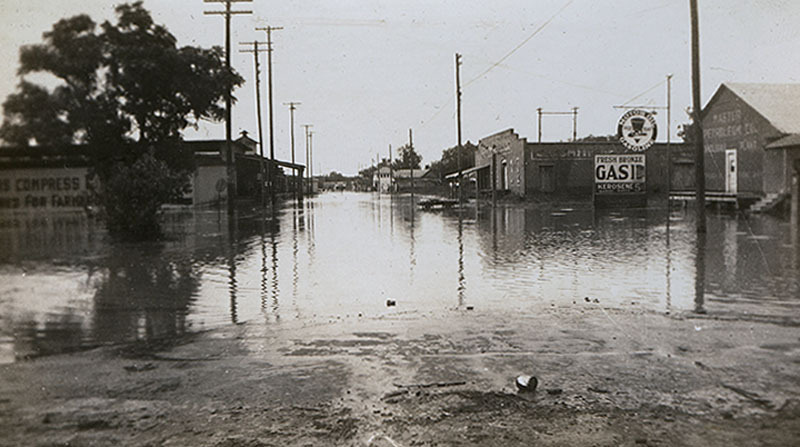 In 1913, the most violent flood to date overwhelmed East Waco, taking two lives and destroying numerous houses and businesses. This, combined with other disastrous floods throughout the nation, spurred a movement to harness the powerful force of the river. 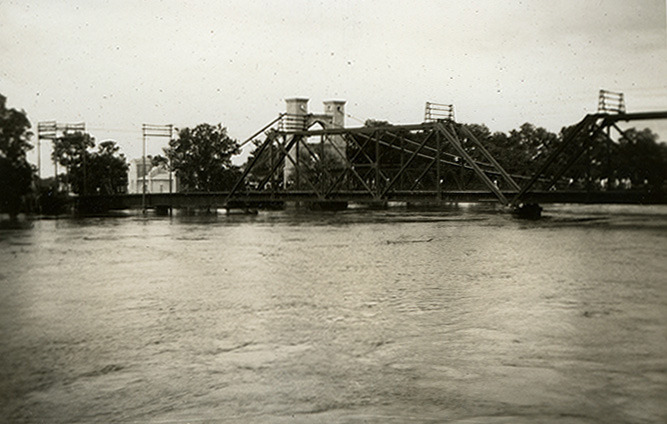 In 1923, the Texas State Legislature conducted a flood control study which recommended the creation of a state agency with the power to carry out the tasks necessary to curb the destruction of the Brazos River. In 1929, the state formed the Brazos River Conservation and Reclamation District. 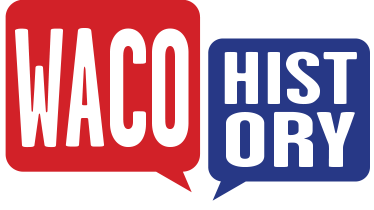 That same year, after much local debate, a small dam on the Brazos River was constructed. This dam primarily provided the city with a constant water supply, though it also offered minimal amounts of flood protection. 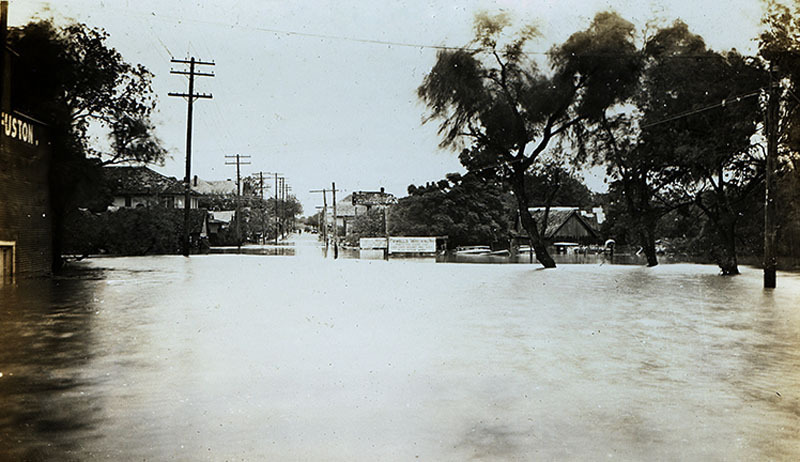 Rain fell heavily throughout Central Texas in 1936. In September, a torrential downpour filled the Brazos River to record levels, cresting at 41 feet. The surging river proved to be too much for the small protective measures taken for the city. 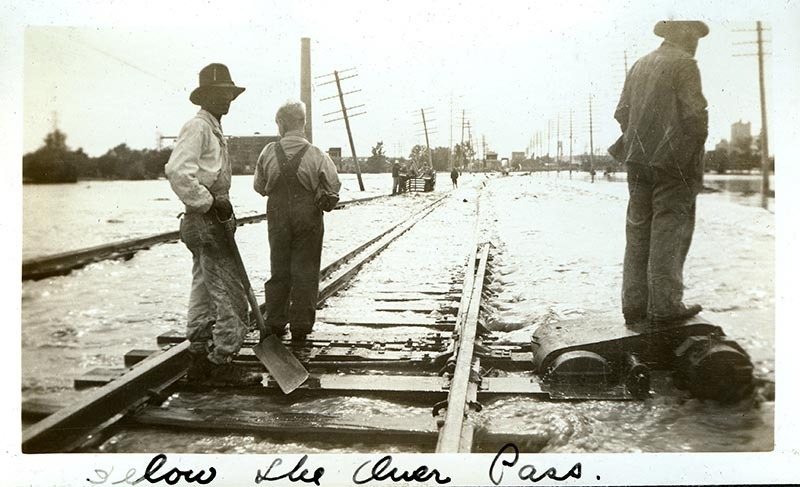 About one mile north of Waco, the river burst through a levee and flooded into the city. 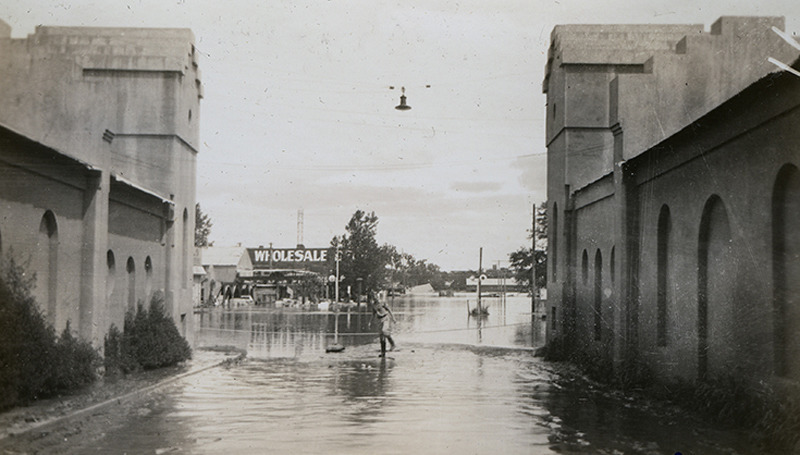 The river rose to just a few inches below the floor of the Washington Avenue Bridge and the Suspension Bridge and overflowed its banks, overwhelming East Waco. 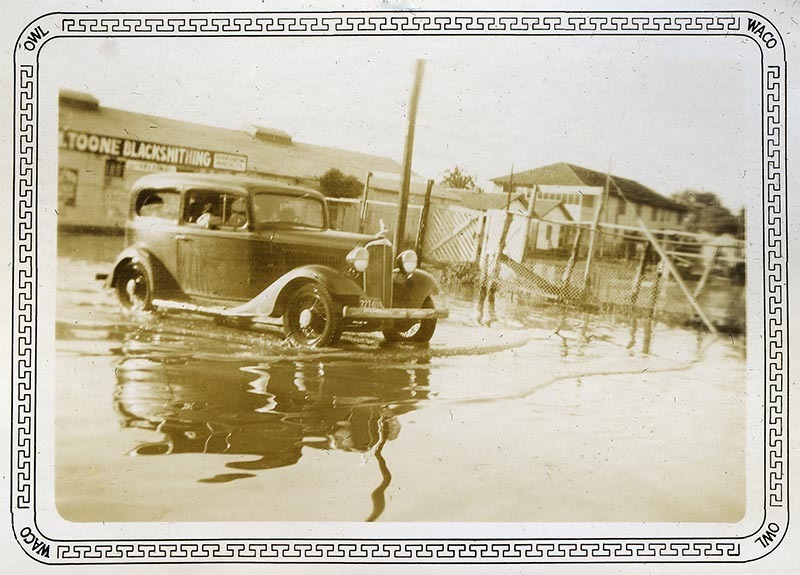 Although no lives were lost, the flood resulted in approximately $1.5 million worth of property damage and left two thousand residents homeless. In order to restore order and begin the process of rebuilding, city manager W. C. Torrence declared martial law in the flooded area. As Torrence appealed to citizens for monetary relief for flood victims, Congressman Bob Poage appealed to the federal government for help in taking more serious protective measures for the city. In 1937, the US Army Corps of Engineers conducted a study which recommended the construction of a series of dams on tributary streams of the Brazos River. 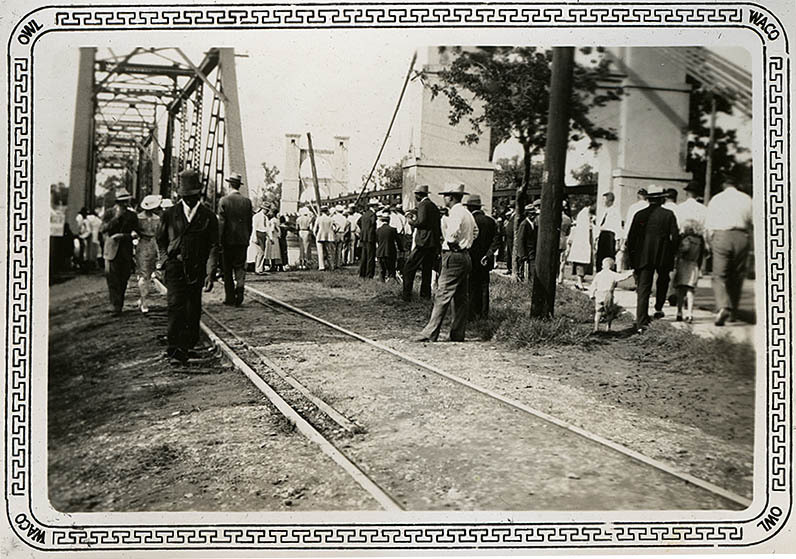 This ultimately led to the construction of the Lake Whitney and Lake Waco Dams, which today protect the city from disasters such as the 1936 flood. 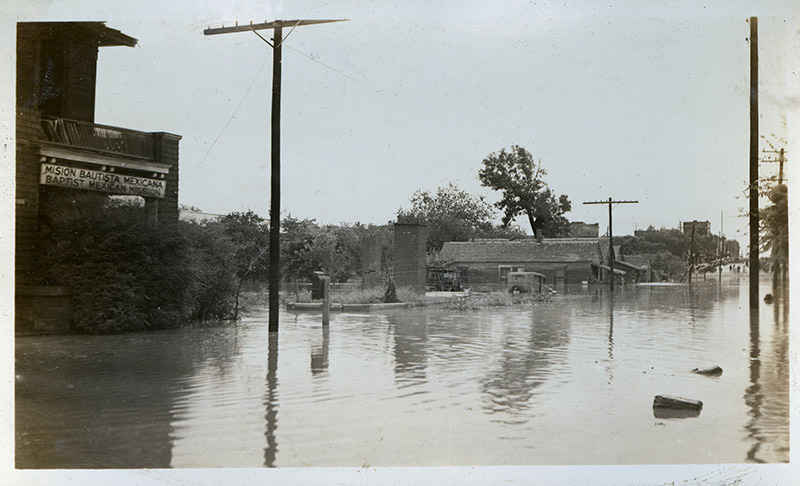 Amanda Sawyer, “1936 Flood,” Waco History, accessed April 19, 2019, https://wacohistory.org/items/show/63. “Brazos River.” In The Handbook of Waco and McLennan County, edited by Dayton Kelley. Waco: Texian Press, 1972. 35-36.